Add to your feminine appeal by wearing the pretty and vibrant kurta from A Small Shop. Featuring three quarter sleeves, round neck and an appealing printed pattern, this good quality fabric kurta is sure to liven up your appearance. No ethnic wardrobe is complete without this kurta. 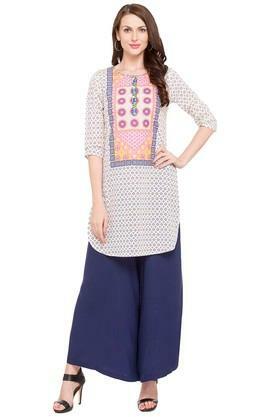 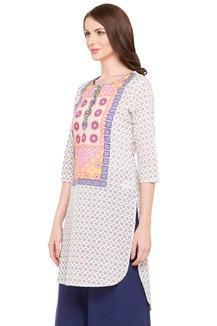 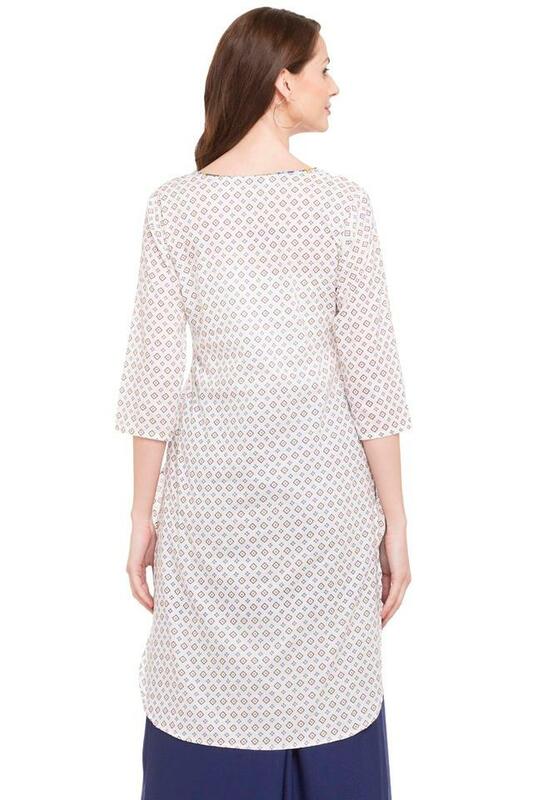 Style this kurta with simple leggings and contrast color slip-on sandals.